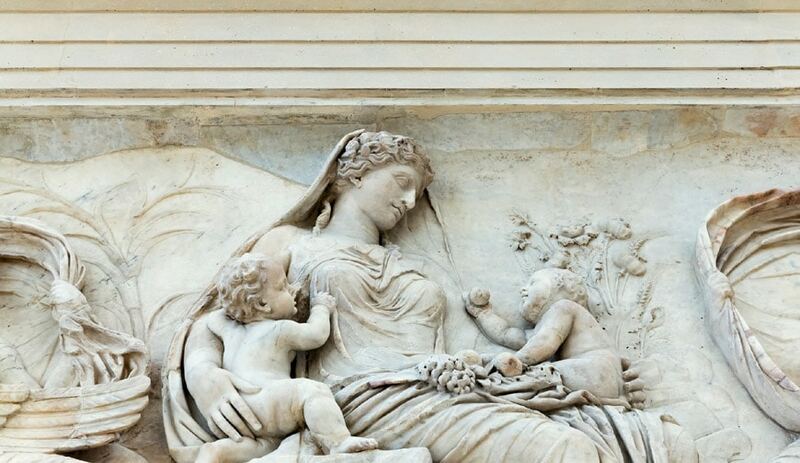 The Museo dell’Ara Pacis is an archaeological museum in Rome which houses the monumental altar dedicated to the Peace goddess it is named after, dating back to the 1st century BC. 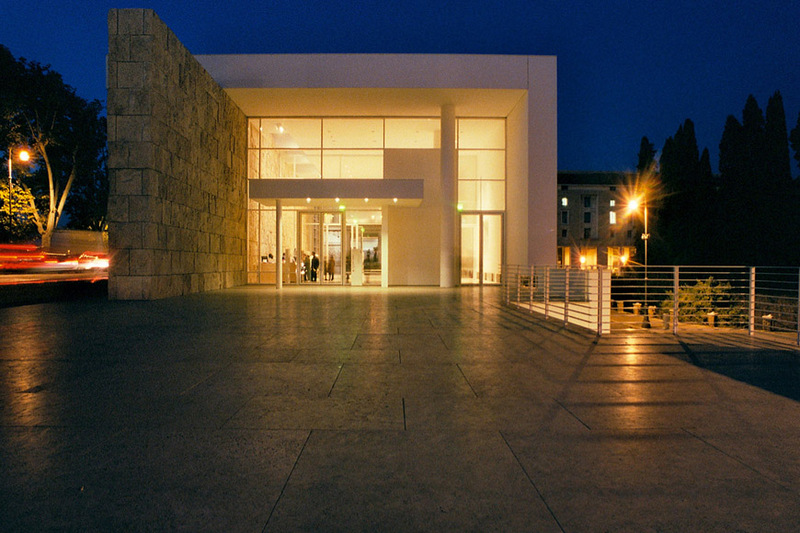 The current museum was completed in 2006 after a design by American architect Richard Meier. The construction of the Ara Pacis was commissioned by Augustus and the Roman Senate in order to celebrate the successful military campaigns against the Gauls. 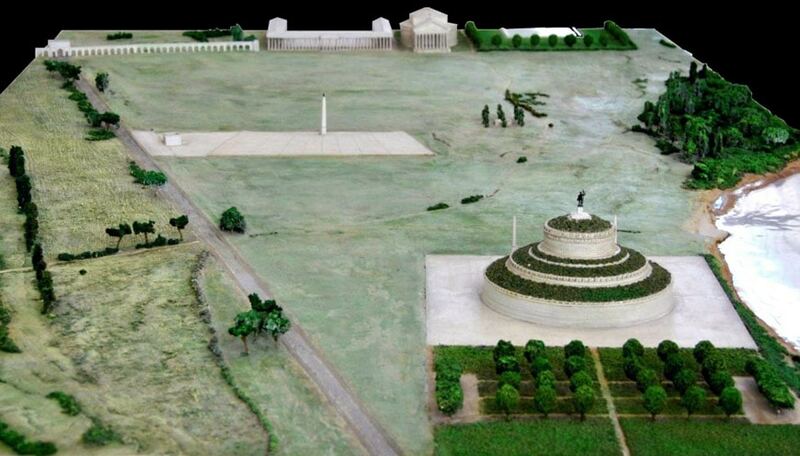 Dedicated to Peace, the giant marble altar was built in the Field of Mars (Italian: Campo Marzio), about half mile from its current site, and completed in January, 9 BC. 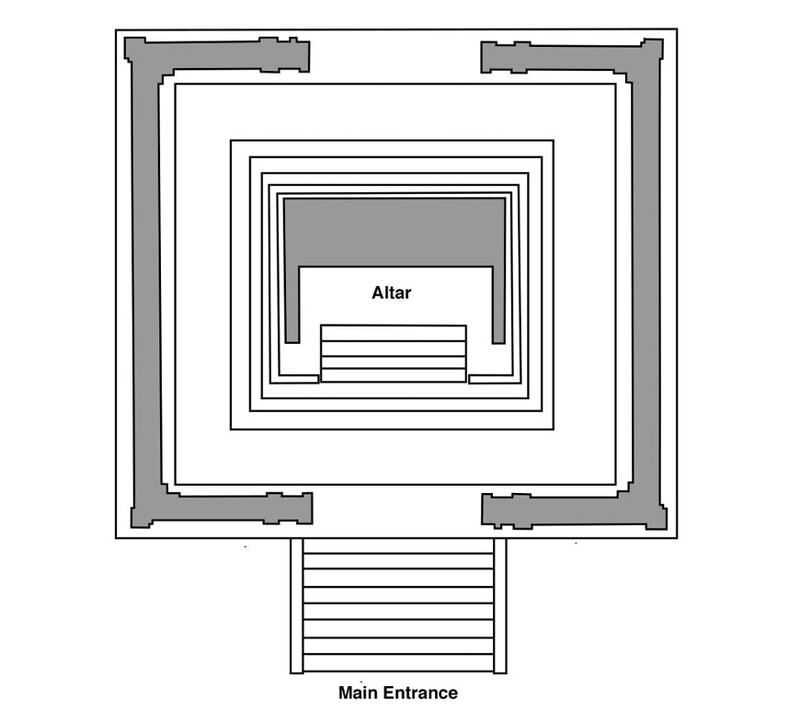 Together with the altar, a sundial, composed of an Egyptian obelisk and known as Solarium Augusti, was erected in the same period. 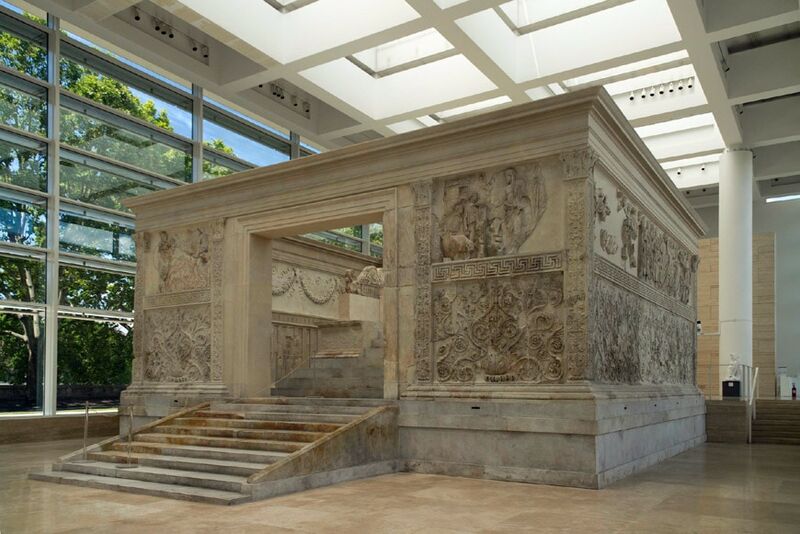 The Ara Pacis is actually a small open roof building, 34.84 x 38.16 feet (10.62 x 11.63 meters) in plan and 12.07-foot-high (3.68 meters), with a sacrificial altar at its center and a frieze running along its external perimeter. 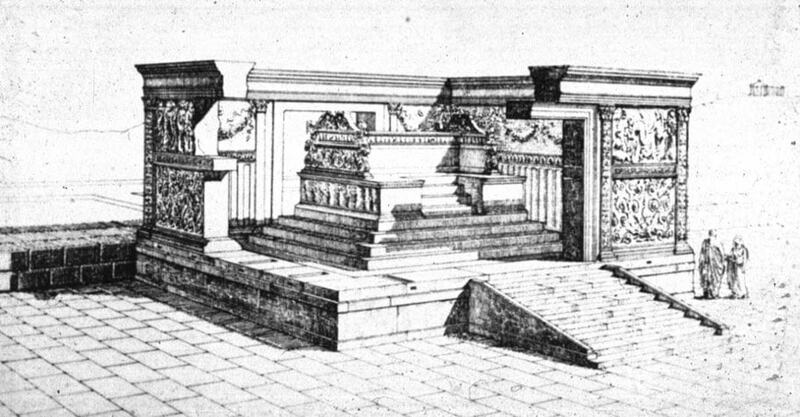 Fragments of the monument were rediscovered in the 16th century, but the Ara Pacis site was not fully excavated until 1937. 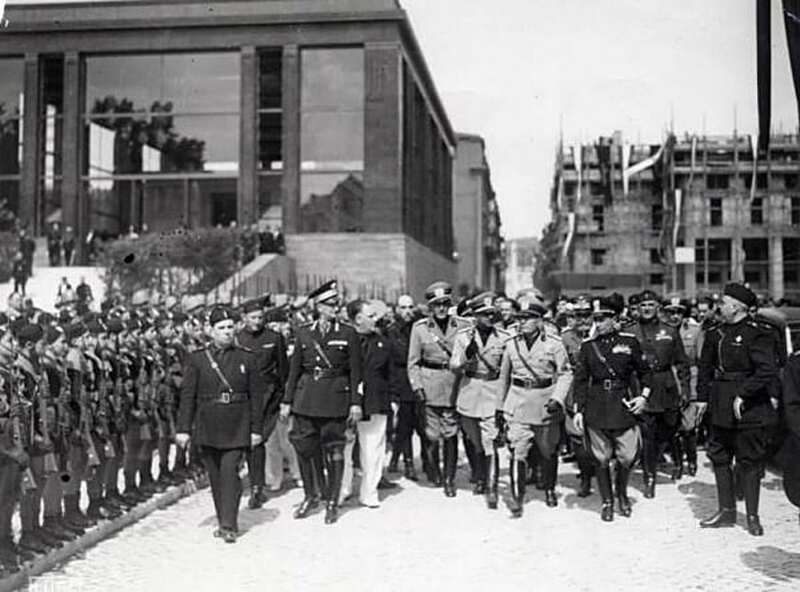 In 1938, Italy’s dictator Benito Mussolini decided that the recomposed altar remains should be moved from their original location and prominently displayed in a dedicated building, with the aim of emphasizing the glorious past of the then recently established Italian Empire. 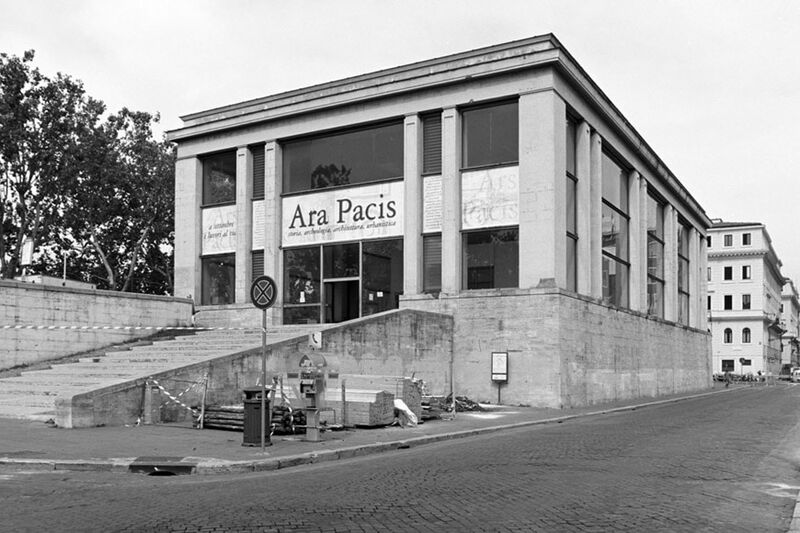 Therefore, he commissioned the Italian architect Vittorio Balio Morpurgo the design of a new home for the Ara Pacis near the Mausoleum of Augustus, together with which it would have created a monumental ensemble of Roman antiquities on the Tiber river bank. 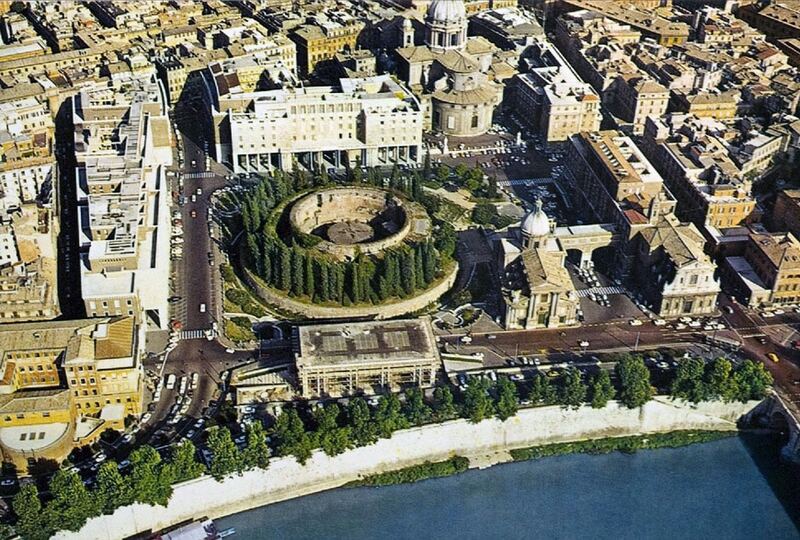 The pavilion was inaugurated by Mussolini himself on September 23, 1938. The protective pavilion was restored after the World War II but, in the early ’90s, it became evident that the enclosure was no longer adequate to protect the monument from weather and pollution. A brand new building was therefore created after a design by American architectural firm Richard Meier & Partners. Inaugurated in 2006, the new museum is a daylight-filled building which, on a floor area of about 16,000 square feet (1,500 square meters), contains permanent and temporary exhibition galleries, a 140-seat auditorium, administration offices, and various visitor facilities. 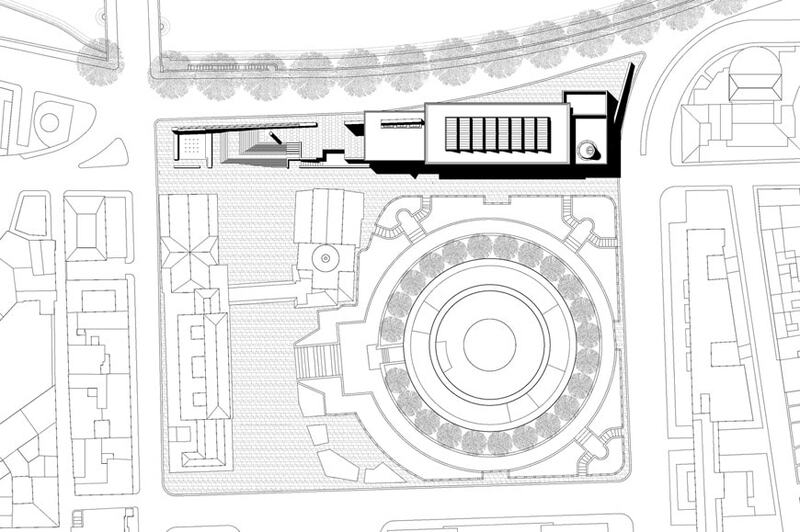 In his design, Meier included a sequence of historical references, aimed to “reconnect” the modern pavilion with the history of the Ara Pacis and its site, such as the fountain close to the museum main entrance which alludes to the ancient Roman port of Ripetta once situated where the museum now stands, an artificial obelisk which mimics that once located in Campo Marzio, the original site of the altar, and the 1938 replica of Res gestae Divi Augusti (English: The Deeds of the Divine Augustus, a funerary inscription celebrating the life and accomplishments of Emperor Augustus) made as a decoration of the eastern facade of Morpurgo’s pavilion. 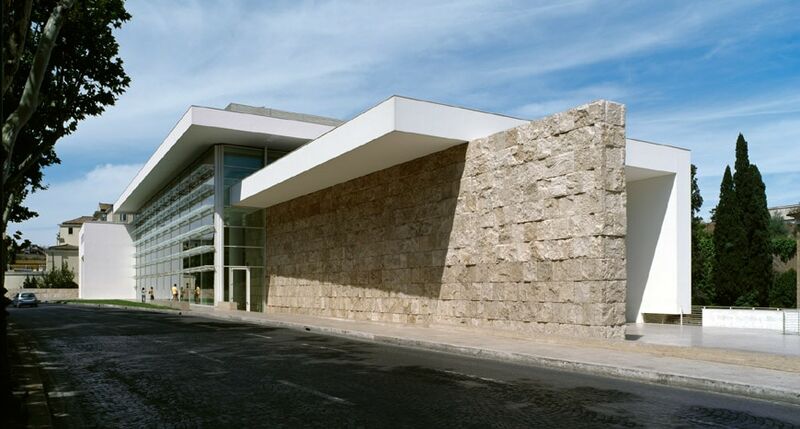 Proportions and materials of the new building – such as the travertine stone used to clad walls and pavement and the white marble plaster covering the columns in the atrium – are somewhat inspired by those of historical Roman architecture. 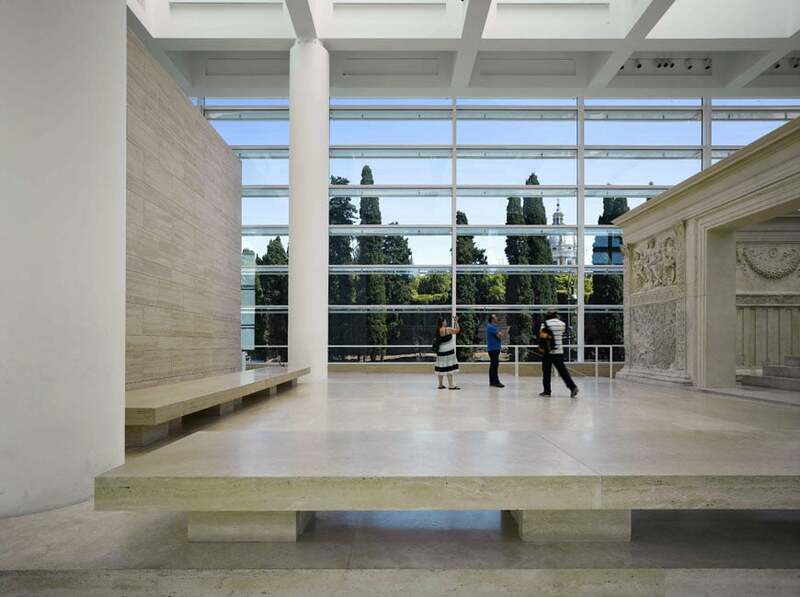 Along with being a museum, Meier’s pavilion was also designed as a state-of-the-art protective device for the altar remains inside it, which are facing serious conservation issues caused by the progressive degradation of their marble stone and metal parts. Therefore, the building comprises an array of active and passive technical solution aimed to control the internal micro-climate, such as an advanced air conditioning system, daylight and artificial lighting control devices, radiant floor heating and cooling, and highly insulating glass panes. 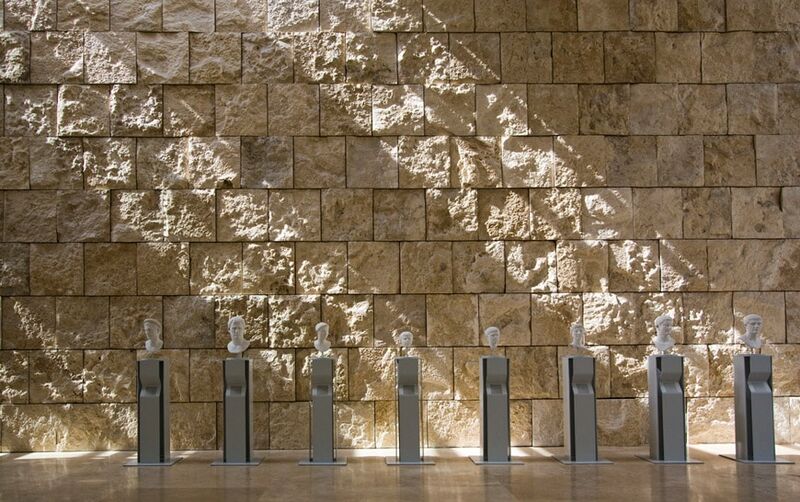 The museum has also some flaws; for example, sometimes during the day, the sun-screening louver system projects unpleasing shadows of the altar; yet its architectural design is undoubtedly remarkable overall. The museum is divided into three main areas. 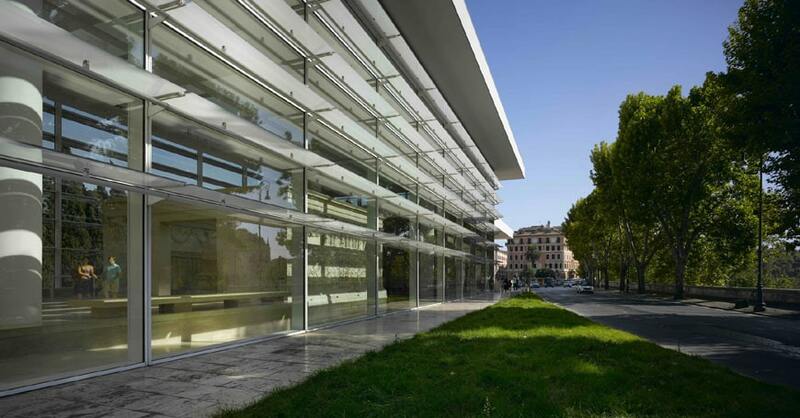 The gallery on the south side of the building accommodates the reception space and an introductory exhibition and can be accessed by a stair and a ramp rising up from the Tiber river banks. 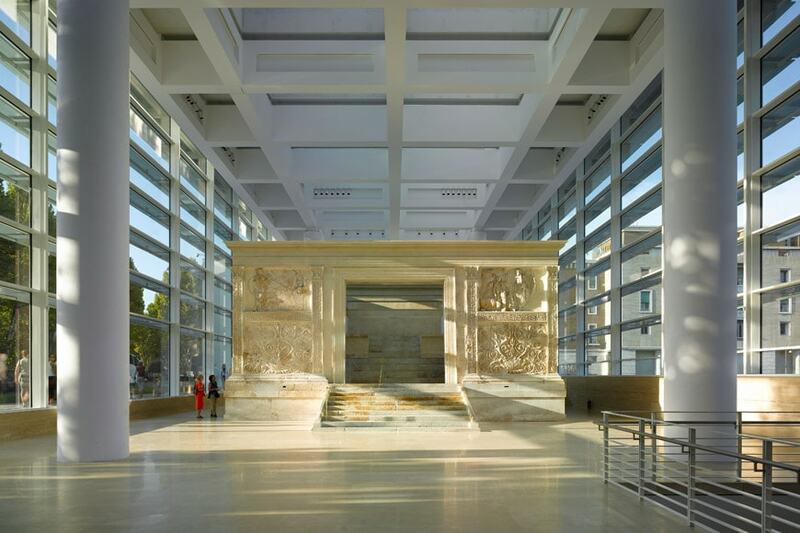 After the introductory gallery, the visitors enter the central pavilion, a large hall, flooded by the diffuse light coming from a translucent glass ceiling, where the remains of the Ara Pacis are on view. 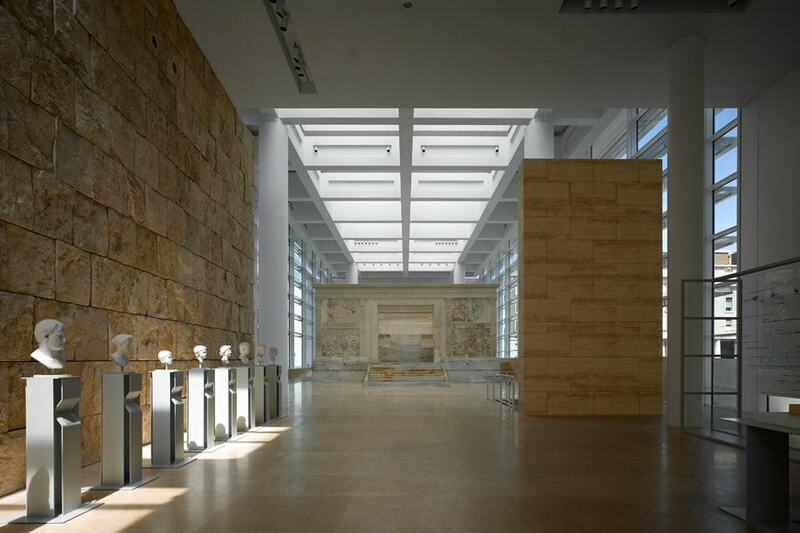 This is by far the most spectacular space of the museum, a truly engaging gallery which somewhat resembles the Parthenon Gallery of the Acropolis Museum in Athens, though at a much smaller scale. 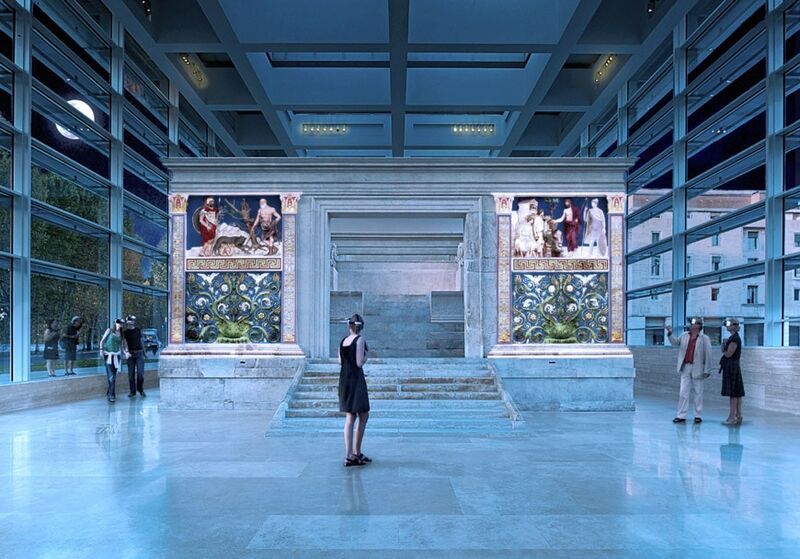 In 2017, the museum introduced an augmented reality installation which provides 360° interactive views of the original appearance of the altar with all its vividly colored decorations (as many antique sculptural works, the frieze of the Ara Pacis was indeed not a pure, almost metaphysical, white relief as we are accustomed to seeing it today; it was instead intensely painted with red, green, blue, and yellow pigments). 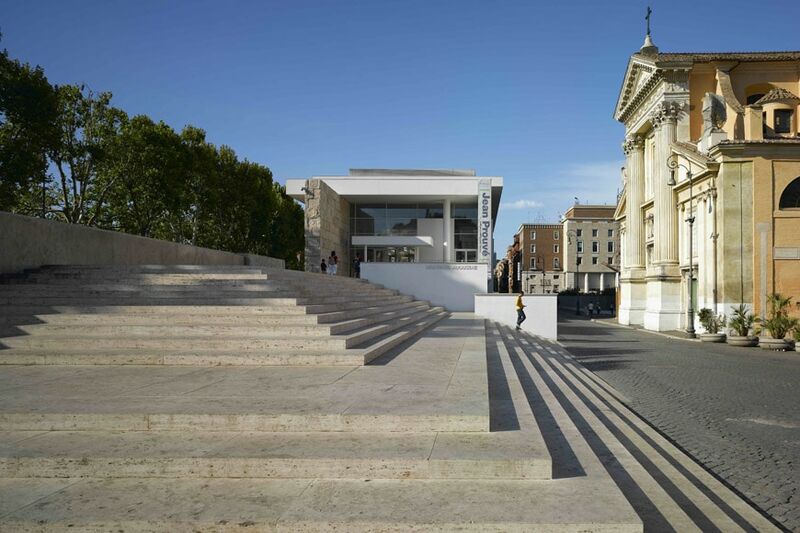 The third section of the museum contains the auditorium, two special exhibition spaces, and a publicly accessible terrace overlooking the Mausoleum of Augustus nearby. 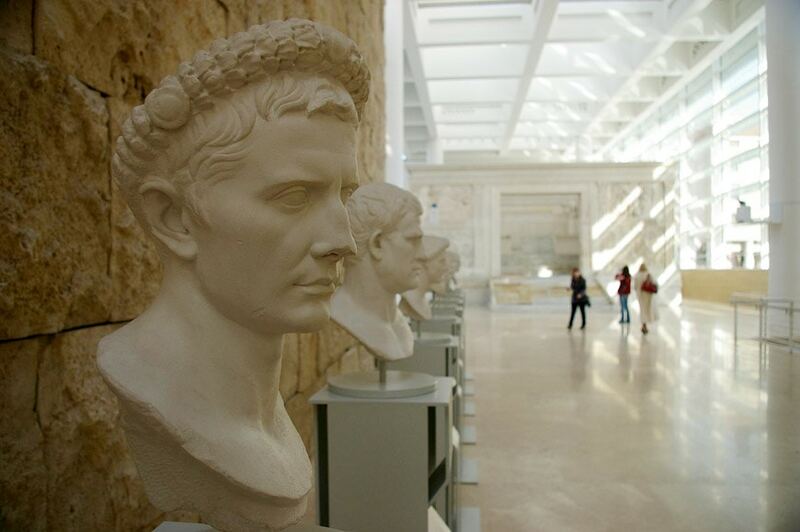 The Ara Pacis museum also hosts temporary exhibitions, live performances, and special events. 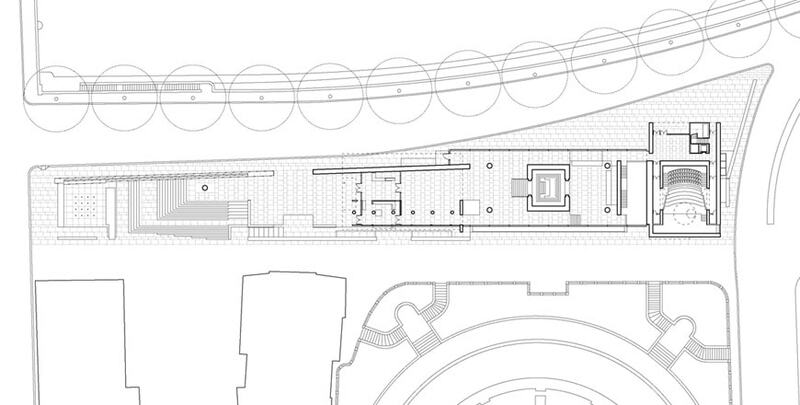 The building, fully accessible to physically impaired people, also accommodates a bookshop and a cafeteria.